Although you may have been on “Living with the Land' in the Land pavilion several times you may not know there is a one-hour walking tour called ' Behind the Seeds' which will take you into the Greenhouse area you only get to pass by on the boat ride. A Disney horticulturist, and these are sometimes graduate students doing a research projects, explain the various growing methods used there, as well as pest management, farm fishing and more. The horticulturist will also answer questions and show you the plants and fish personally and let you get close to them. The usual Epcot admission is required plus an additional fee. I believe reservations can be made up to one year in advance although you can do a same day tour sign-up downstairs at The Land pavilion, near the entrance to Soarin' . If you do make a same day sign-up I suggest you make this early in the day. 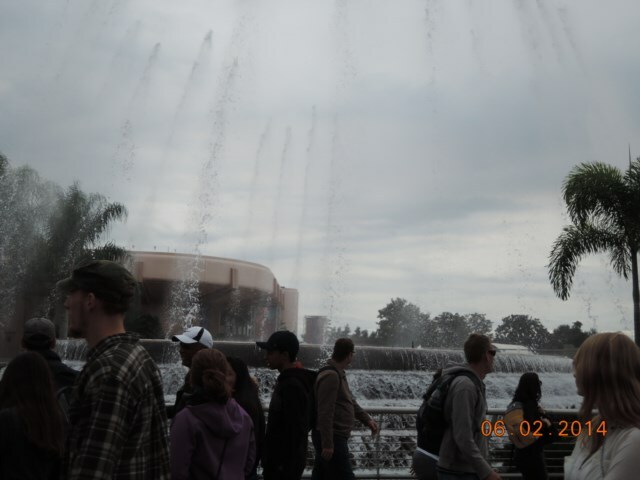 Be sure not to miss Epcot' s famous Dancing Fountain. 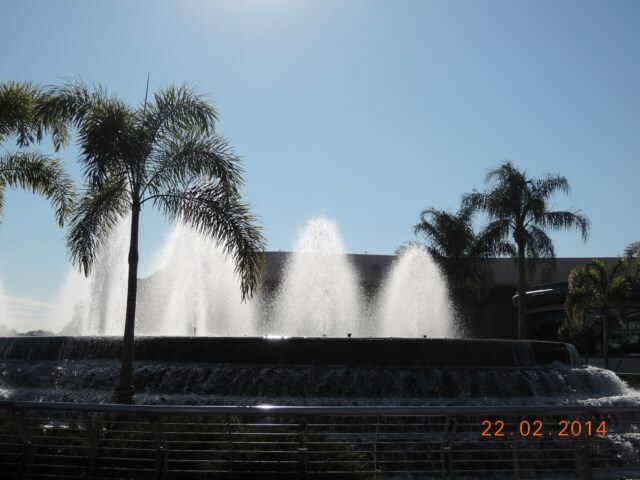 The ' Fountain of Nations Water Ballet' is situated directly across from the Fountainview Café (on the plaza behind Spaceship Earth). As well as the regular show, there is a holiday version, during which the music and water are also in sync with the Lights of Winter Arch that leads into World Showcase. Even if you have viewed this in the day it is worth returning at night as special lighting change the shows dramatically. 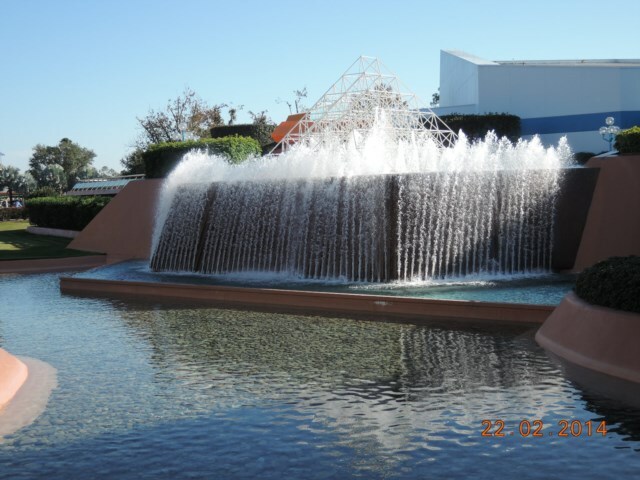 There is a beautiful fountain outside the Imagination pavilion. This is slightly out of the ordinary; it' s actually a “reverse” waterfall, with the water flowing up! Outside the Honey, I Shrunk the Audience attraction, you will find a ' leap fountain, ' where the water jumps from ' pad' to ' pad. ' Although it is not a play fountain, children (and sometimes adults) can be seen trying to catch the water as it leaps around. If you face the ' Fountain of Nations' with Spaceship Earth behind you. The talking water fountain is outside Mouse Gear, on your left. 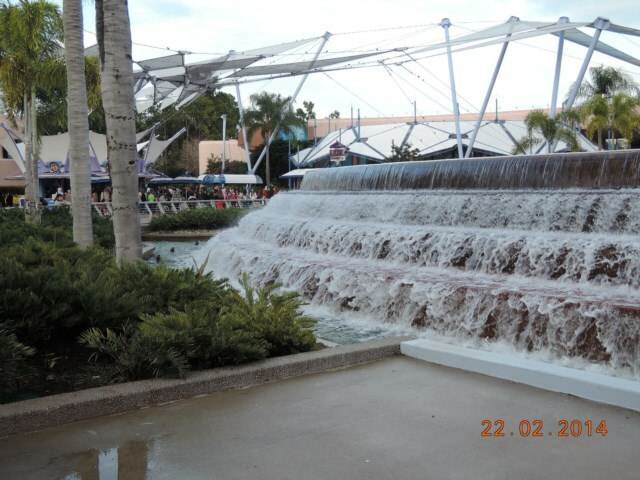 Another to the right of the magic/play fountain between World Showcase and Future World. 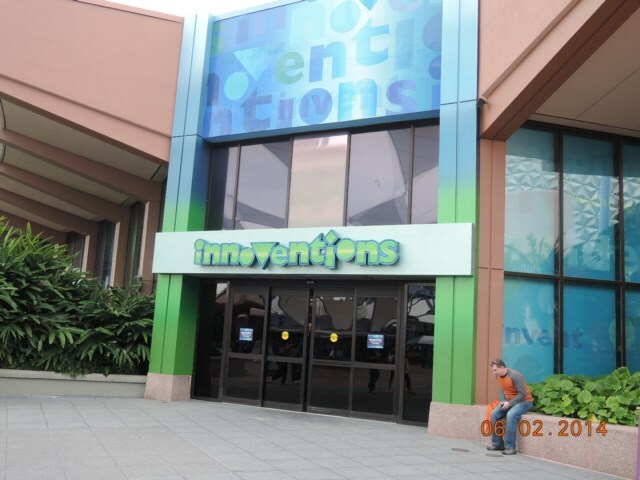 The third is behind Innoventions West, near the restroom. In addition to talking fountains you can also meet trashcan (a talking trashcan! ) 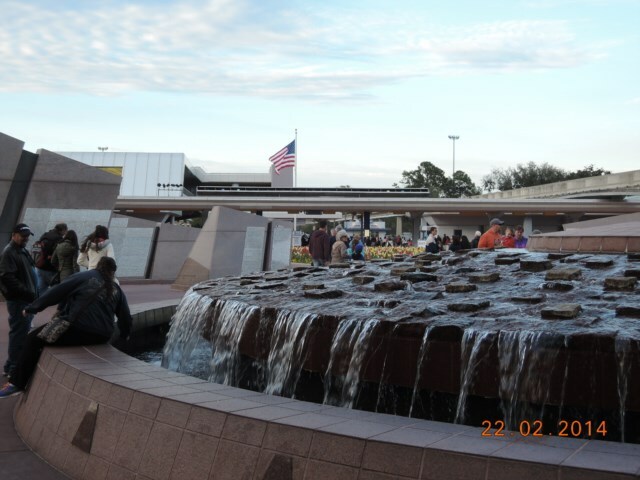 in Future World, near the Electric Umbrella restaurant, next to Innoventions. 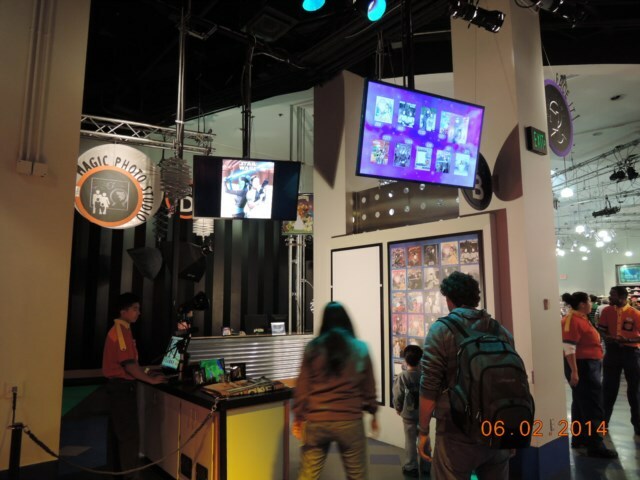 If you want to get in touch with relatives at home you can email them a picture cyber-postcard of yourself from the IBM exhibit in Innoventions West -- there are three email kiosks set up there. There is usually a queue but it soon goes and is worth waiting for. You can also send an email to yourself as a reminder of your holiday. From the Internet Zone over at Innoventions East you can also make a video clip complete with audio. Both email and the video clip are free and a great reminder of some of the things you may have overlooked at Future World on previous visits. Viewed 3784 times since 18 January 2009. The following photos have been submitted by our villa owners for this article. We take great care to ensure we have the copyright holder's permission to display each photo. If you believe any of our photos should not be displayed for any reason then please email info@orlandovillas.com with full details, including a link to the photo concerned and we will act on it immediately.